“EVERYTHING IS FAIR GAME.” The ATB motto. Across The Board is like listening to a live mix tape. This freeform program takes you on a spin through a wide variety of musical genres. 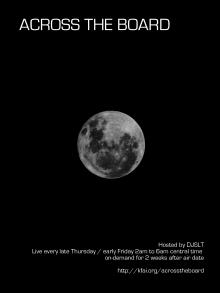 Tune in to hear DJ SLT every Friday from 2-6 am for a unique listening experience. 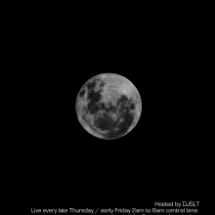 DJ SLT specializes in goth, industrial, pop, Bowie, new wave, noise, glam, neo folk, amibent, audio samples, movie soundtracks, and any other style of music that catches his ear. DJ SLT also hosts Collectors Corner, where you, the listener, can come on air to talk about the music you love & obsess over. Ocassionally, Across The Board will feature guest DJ’s. ATB’s current guest DJ’s are DJ Mercury, Weston East, Jeremey (King of Collectors Corner), Musically Rich, and Paul L.
Salute To Soundtracks (soundtracks from all genres of movies), Smothered In Covers (covers of popular songs), and DJ SLT’s favorite, All David Bowie!! In recognition of freedom of speech protections in the First Amendment and the FCC’s relaxed policy on late night/overnight language, this KFAI program may include song lyrics some listeners find objectionable.